AquaFX is proud to offer a complete Reef Pro kit from Hanna Instruments that will help you to monitor the health of your saltwater reef aquarium. 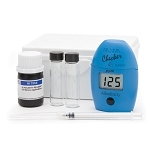 This kit comes complete with Checkers for Alkalinity (dKH), Calcium, Phosphorus (ULR phosphate), and a pH. As we know, water quality can be the single most important aspect of keeping a healthy and happy reef aquarium. This kit will allow you to eliminate subjective results and guesswork by confidently testing with Hanna Instruments. 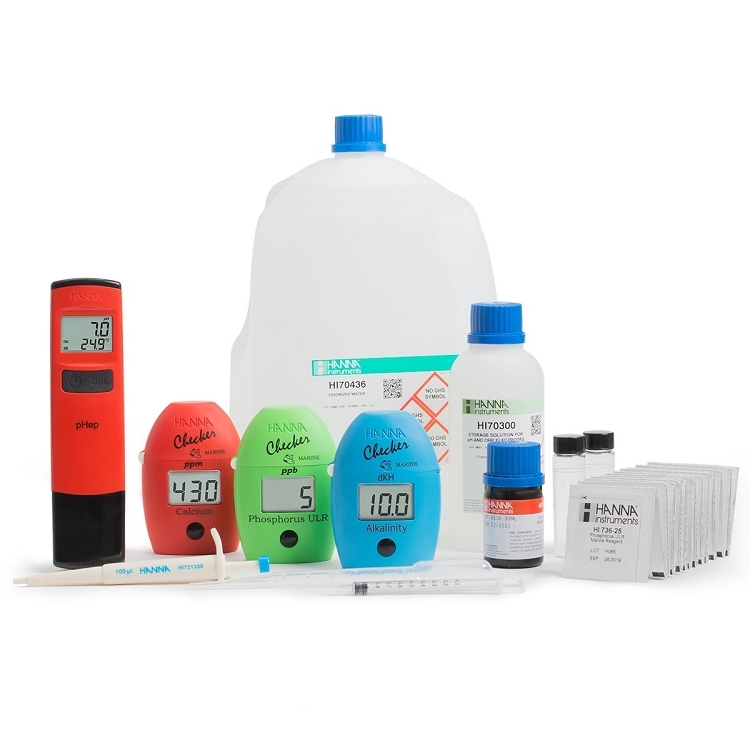 Helping to close the gap between simple chemical test kits and expensive instrumentation with this convenient, professional kit. Complete kit includes everything you need, so you can start testing today.